Many products require heating to maintain their desired condition during processing, whether in pipes, tanks, storage vessels or hoppers. It is essential that the materials and equipment to be installed meet both the design and environment criteria in which they are required to work. Efficient and accurate control of the medium to be heated can be performed by line sensing thermostats. Optional monitoring facilities can be installed to give plant operatives further enhanced information about the systems operational performance. Factors to consider when designing process maintenance systems include, length of heating circuit, temperature to be maintained, cable withstand temperature, operational environment, supply voltage, hazardous area classification (if appropriate) and thermal insulation type and thickness. 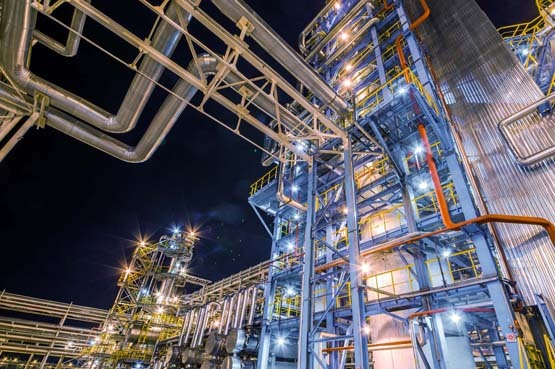 In some instances additional heat up facility may be required, typically for pre- heating of pipe work / vessels prior to introduction of temperature sensitive products, melt out of product or in line heating of flowing gas. Delta ‘T’ design engineers are always available to discuss your full needs and ensure the best solution. Depending on the above design criteria, cable selections may include self regulating, constant output, mineral insulated, fixed resistance or power limiting. Electric trace heating can offer a clean, reliable, low maintenance, controllable, safe and cost effective means of maintaining temperature when compared with steam or jacketed heating systems.